Since its founding in 1979, Epic Systems Corp. of Verona, Wis., has grown to become the nation's No. 1 healthcare software firm, with $2.5 billion in annual sales and 9,700 employees. 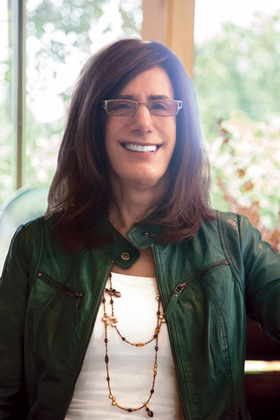 Founder Judith Faulkner, one of Modern Healthcare's Top 25 Women in Healthcare, still plays a major role in setting strategy at the firm. At last month's Healthcare Information and Management Systems Society's annual conference in Orlando, Fla., Modern Healthcare Editor Merrill Goozner sat down with Faulkner for an interview. The following is an edited transcript. Modern Healthcare: We've got a huge problem in this country with doc burnout. One of the causative factors is poorly designed electronic health records. How are you addressing this problem? Judith Faulkner: I have focused our whole staff on three things for the past four years. No. 1 is that the software should be a joy to use. For quite a while, we had to focus on making sure it has all the features and functions that will save patients' lives and will meet all the government requirements. But now we're really focused on making it a joy to use, intuitive, as simple as possible, attractive. The second thing is value from data, and the third thing is collaboration. MH:Yet given the rising level of dissatisfaction with all vendors, do you have any new initiatives or thoughts on ways that we can really begin to address this? Faulkner: I'm married to a doctor. My family has eight out of the 13 working members who are doctors. I think physician burnout began maybe 20 years ago when it became, who's going to run everything? Is it going to be the doctors or is it going to be the government and business? I thought the doctors would win, but they didn't. Government and business won. I think that's when burnout started happening. MH: So it's much larger than just the EHR. Faulkner: Yes. I don't think that adding lots of government-required things to the electronic health record helps the physicians with burnout, because it's just more things that have to be done. For some of them, it's appropriate. But for many of them, it is just in the way. MH: There is a lot of dissatisfaction among policymakers that we're just not getting interoperability fast enough. Consumers can't get access to their records in a timely fashion. How do you see interoperability evolving in the next five years? Faulkner: We started back in 2005, well before the Health IT Policy Committee and meaningful use said you have to do it. Here's some of the things that we're doing that you'll see the rest of the industry follow. One, 100% of our customers are connected. No other vendor does that yet. I think until they all do it, it's hard for them to talk about connecting between vendors because their own customers aren't connected. They have to start publishing measurements about how many times have they shared information with someone else. One patient leaving a health system to go to another health system is one record exchange. We do 1.3 million of those a day. I'd like to see everybody publish their numbers, because then they'll have a lot more sense of what's going on. Other things that we're doing that are really neat include the ability for our customers to give another healthcare organization a web-based portal into our customer's system so they can follow the progress of the patient. We're combining Care Everywhere with EpicCare Link so that if we have a patient go to a place where they do not have the ability to do a transfer, we will, if they agree, implant EpicCare Link in there and they can still see what's going on with that patient. MH: Let's turn to consumer-driven medicine. High-deductible health plans, alternative care sites, concierge practices—it's creating a whole new set of data about a patient that is not integrated. What are you doing to integrate that kind of information into your overall healthcare record system? Faulkner: We do take information that comes from machines that can send it to us, wirelessly or connected, and put it into our system. We've been doing that for quite a few years. But I absolutely agree with you, there will be more and more. Recently, someone was showing me a machine where at home, with one drop of blood, you can do your own CBC (complete blood count) and a whole bunch of other things. That can go to the doctor to analyze so you don't have to go to the clinic to get your blood drawn and sit there and wait until the doctor looks at the results. It's going to become much more patient-focused. What you, the healthcare organization, think of as work I think of as freedom. The patient is saying she wanted to schedule herself, she wanted to do things herself, and she wanted to be able to electronically order her refill and things like that. That's where it's going. MH: Has Epic been involved in any of the cybersecurity breaches? Faulkner: As a corporate entity, we're constantly being attacked. But to the best of my knowledge, never successfully. We read now and then about our customers having been attacked, but never, to the best of my knowledge, through our software. MH: Are you getting demand from your customers to do more to help them protect their data? Faulkner: Sure. We have security meetings with them to go over what we're doing, what we recommend. I have been told by our customers that those meetings are very valuable. And we recommend everybody do this. We hire people regularly who try to attack us and see if we have any weak areas. We do fake phishing among our own staff to see who is going to respond. The scary thing is, you always get people who respond. So we put in multiple levels of authentication so that it makes it harder and harder for that to happen. MH: What are the prospects for Epic to grow its share of the market? Faulkner: It is a more mature market. We're still seeing a lot of turnover as organizations leave their existing vendor and come to us. So, we had a lot of new sales last year. I think the interesting thing is we're going in more directions—working with rehab companies, lab-only companies, smaller healthcare organizations, and much more overseas. There is a lot beyond the traditional organizations. MH: Is Epic helping its clients with population health management? Are you in the consulting business in that space? Faulkner: At this point, we're training our users about how they analyze the data, rather than doing analysis for them. MH: Do you see this as a new business opportunity? Faulkner: It might be. We're finding that all over the place, our customers are saying that they like services from Epic. We have something now called Supply Shop. It's in reporting; it's in analytics; it's in population health; it's in physician productivity, nursing productivity and operating margins. Supply Shop has people who are experts in all those areas. We are staffing more and more people. So there certainly is a demand for services. MH: How do you see your own role evolving at Epic over the next five years? Faulkner: Not much different from what I'm doing right now. On a personal level, I'd like to read more books, but I don't seem to get the chance. Maybe garden a little bit. I like gardening. Maybe be with family to take a little bit more vacation, but I would've wished that for the past 20 years. I don't see much changing right now. I want to visit our customers more. I like visiting our customers.